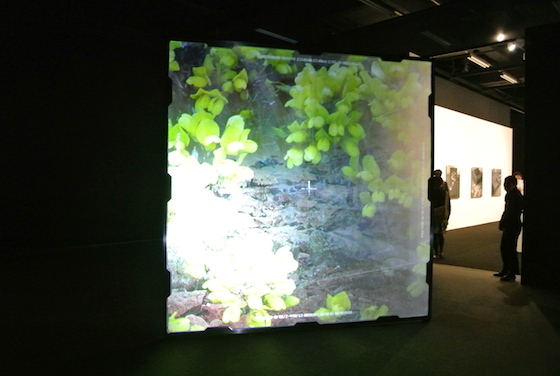 Shiro Takatani is a media artist who uses photographs and videos to offer deep insights into the natural environment and diverse physical phenomena. 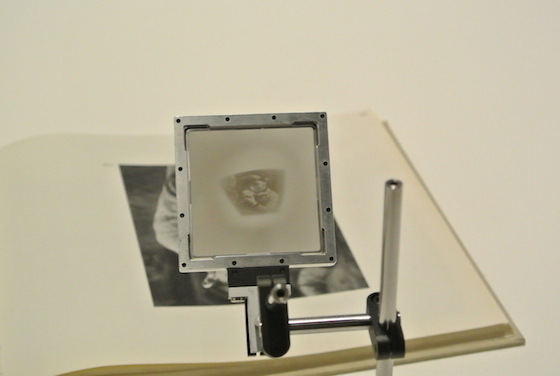 In the exhibition “Camera Lucida”, he shows the elements of optics in many different ways using modified cameras and screens. Through his work, we can understand that human eyes are just one way of recognizing the world. Shiro Takatani “Camera Lucida f50mm” 2004. The picture in a photo book is transferred on a screen through a small circlular lens, resulting in an upside-down image. 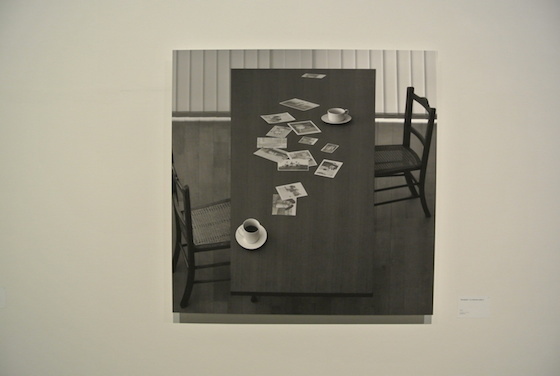 Takatani was influenced by a discourse on photography titled “Camera Lucida (La Chambre Claire, 1980)” written by the philosopher Roland Barthes. Barthes explained the essential part of photography as “that which was (celui qui a existe).” Photography captures “the scene itself, the literal reality,” which means that the object actually existed in this world. Therefore, it evokes our memories. 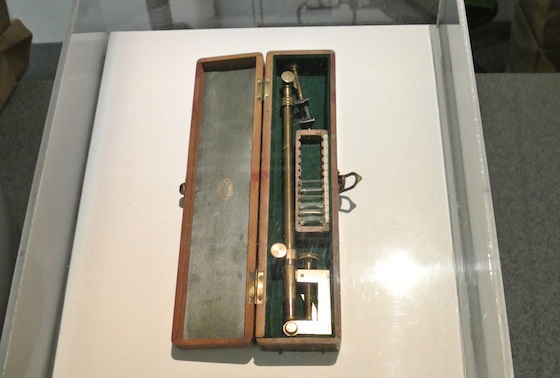 Replica of “Camera Lucida” used in the 19th Century to draw a scenery. A “Camera Lucida” is an optical tool used in the 19th Century. Artists used this tool to sketch scenery. The prism lens on this tool reflects the scenery on paper so that it can be traced as it is. Barthes thought that the “camera lucida” should be the origin of camera instead of the “camera obscura” (the camera obscura is a dark room with a tiny hole that projects the outside scenery inside the box. It was used for drawing). This has widely been regarded as the prototype of camera. It was important for him that the system of photography is open and explicit since photography is a media that captures the reality honestly and openly. Takatani also thought that art can explore possibilities by showing everything out in the open instead of being mysterious. So he made a performance art piece titled “Camera Lucida” (2008, played in Germany) by following Barthes’ thoughts. Shiro Takatani “Camera Lucida” (performance art piece, you can watch on youtube). Takatani is also the artistic director of a performance art collective Dumb Type (active since 1984, Kyoto-based). He does video, lighting, graphics and set design for the group and started to work as a solo artist in the late 1990s. 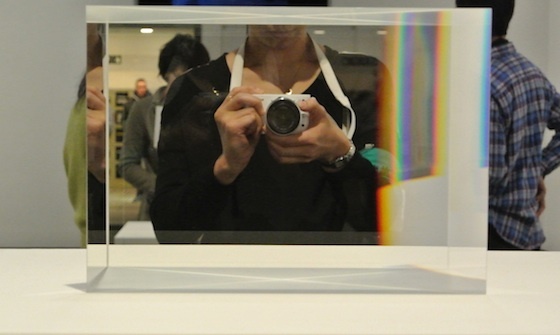 Shiro Takatani “Camera Lucida f50mm” 2004.The picture in a photo book is transferred on a screen through a small circlular lens, resulting in an upside-down image. 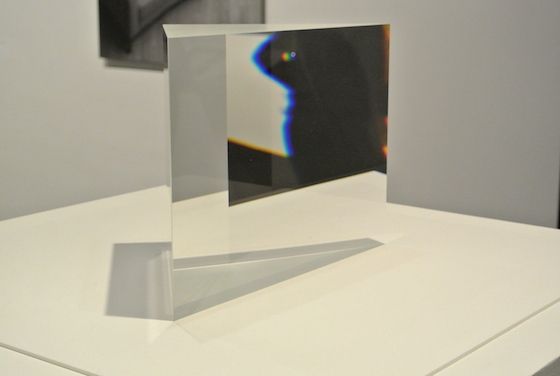 In “Camera Lucida f50mm” (above), Takataki created the structure of single-lens reflex camera by simply placing one focus lens and one glass screen in line with each other. In a camera, they are hidden in a black box so that the captured image won’t get fogged by halation. The image on a photo book appears on the screen upside down – however, since the book is placed upside down, the boy’s face is straight. 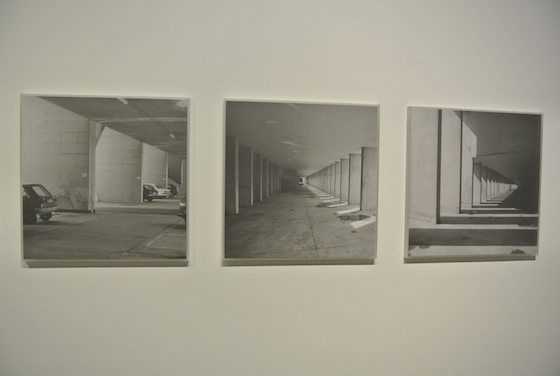 Takatani wanted to show the moment of when an image is born, when an object transforms into an image. Shiro Takatani “After-the-Fact and Silence” 2013. 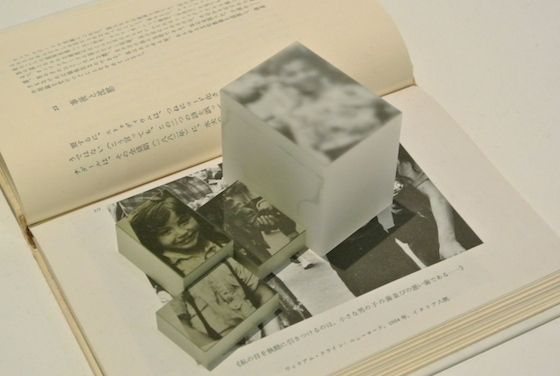 In “After-the-Fact and Silence” (above), Takatani simply put fiber optic plates, which are usually used for Polaroid cameras, on a book. 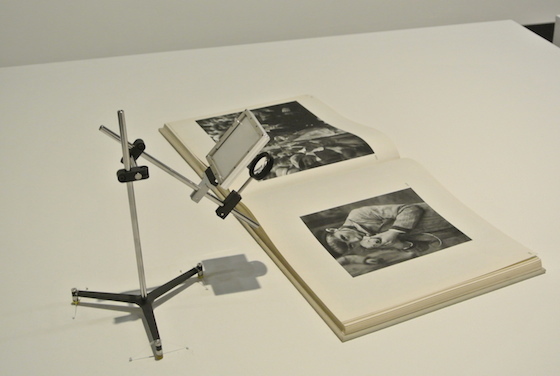 There are no other tricks but the optic plates transfer the pictures printed on one page of book “Camera Lucida (After-the-Fact and Silence)”, to their surface. In this way, a printed picture is changed into an artwork image. Shiro Takatani “Chrono / Uluru-Kata Tjuta National Part, Australia. 25°18′ 6.78″ S, 130° 59′ 55.50″E. 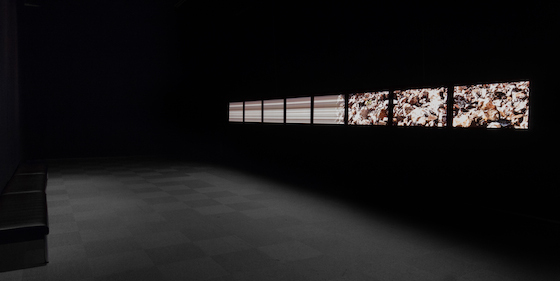 14 September 2006″ Video installation. 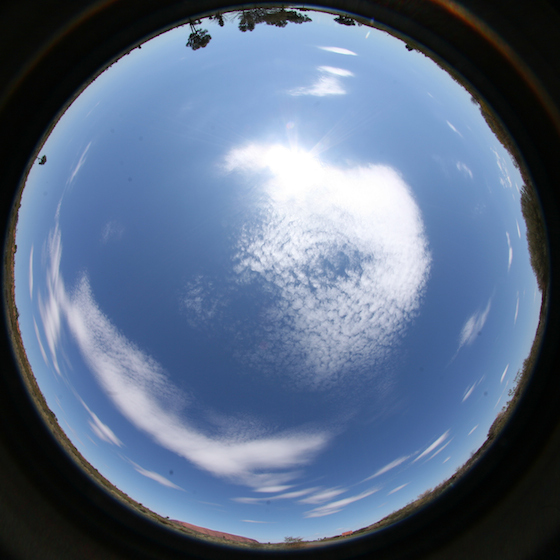 “Chrono” (above) is a video work created by taking digital photos of a sky for every 5 seconds, from sunrise to sunset with a 360° fish eye lens. It took 12 hours to capture 20,000 photos which were edited into a 4-minute video. It is mesmerizing to see the sky changing its expression so rapidly. In addition to that, the viewers may feel as if they are seeing the sky from an insect’s perspective. Shiro Takatani “Toposcan” – video work. In his “Toposcan” series, he put a camera at 5 locations such as in a forest or at a waterside in Ireland, and took videos of 360 degrees of each spot. 8 lined screens showed each scenery exchanging it digitally little by little into border lines as if digital eyes capturing the world. Or in other sceneries, the border lines changed into the original sceneries that our physical eyes are familiar with. Physical eyes and digital eyes are compared and erode each other at the same time. Needless to say, they were both beautiful. 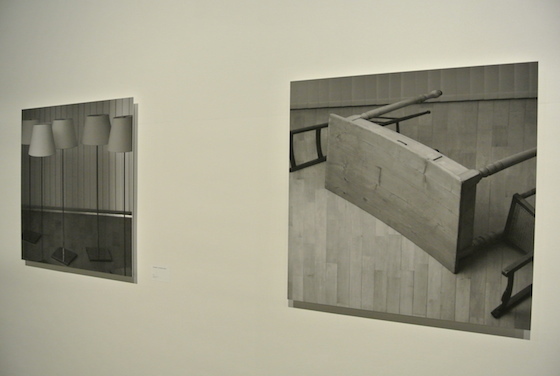 In “Topograph” series, Takatanai took photos of the furniture used in his performance “Camera Lucida” but in a very unique way. Can you notice that the space and depth is a little weird? The near side seems to be taken from above while the back side taken from the front. This work was created by using a large line-scan camera. Just like a copy machine scanning a paper, a modified line-scan camera took 30 minutes to capture the objects in 7000 x 30,000 pixel images. So this works is showing how a scan camera captures the world. Machines can capture what we can’t and they show another way of seeing. 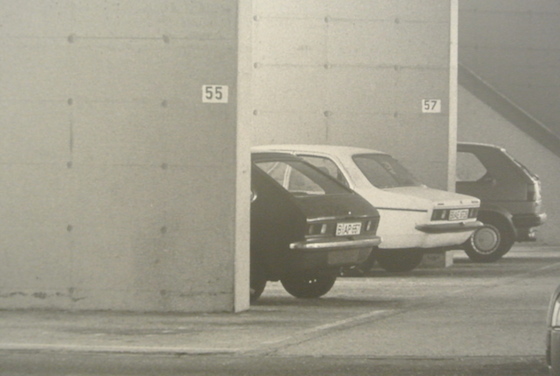 In “frost frames” series (above), the photographs were originally taken in Europe, 1987. He printed those photos by using a technique called Giclee print which expresses 12 different tones in black and white. What is unique about this work is that prints are mounted in frosted acrylic frames to make the images vague. Just like the work that he put a fiber optic plates on a book (“After-the-Fact and Silence” 2013), we are seeing the image through a frosted frames. Thus, the photograph is transformed into a different expression of artwork. “Mirror type k2″ is made of a large prism cut into an isosceles right-angled triangle. When you stand in front of it, your figure will be reflected, but not like a mirror. When you raise up your right hand, the left part of your reflection will correspond. The reflected figure is inverted. It means you see yourself as others do. Have you felt shy when you heard your recorded voice? Same thing might have happened when you saw yourself in a photograph which is not an inverted figure of you. It is interesting that people feel uncomfortable to see or hear the real self. Shiro Takatani “frost frames” 2000. Video installation. Projecting 30 images per second. A big 2.7m screen was placed in a dark room. 100,000 photo images are randomly projected on the both sides of the screen switching 30 images per second which is the same speed used in videos. Surprisingly, we can recognize some images and remember them even in this high speed. Since this screen is made of frosted glass which is half transparent, one side of the image can be seen from the other side. And once in a while, a pair of negative-positive image was projected at the same time to create a one complete image. This work lets us experience the feature of our eyes which we usually use unconsciously. Our unused senses get alerted to perceive what is happening in his work. 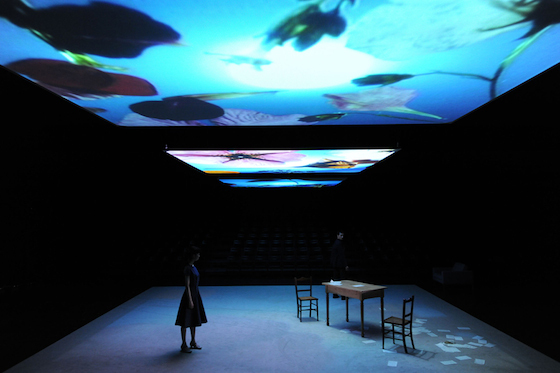 We all know that nature creates beauty but for Takatani, technology can create beauty as well. He has proven it through this exhibition by digitally converting or optically transferring images fully, thereby showing their aesthetic quality.